As I promised, I will share about my Pokemon Go 100IV Collection! It used to be easy to hunt for 100IV because we are able to check where are the 100IV Pokemon spawn at and the time left on WeCatch, but now WeCatch it's no longer be able to use. 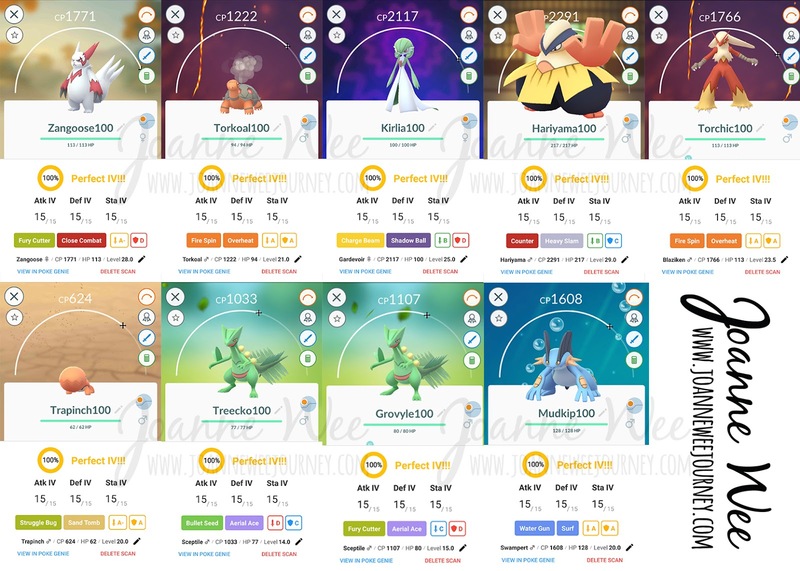 Pokemon GoThey actually purposely designed for you to catch every Pokemon in the game and without knowing you actually caught 100IV, but once you found out, it's a SURPRISE! My 100Ivs Eevee's Family 💖I love Eevee, so I catch most of them! I am lucky as I caught 2 100IV Legendary Pokemon. I actually met Groudon 100IV but he/she RUNAWAY!!! Guess what? 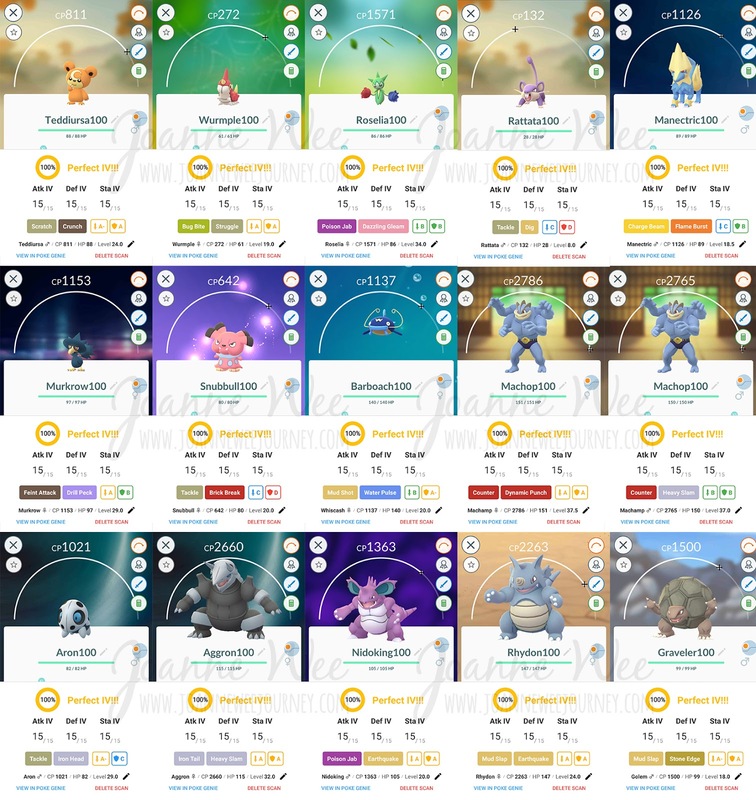 I missed out my 100IV Zubat, and just hatched a 100IV bagon, will add in the image soon. 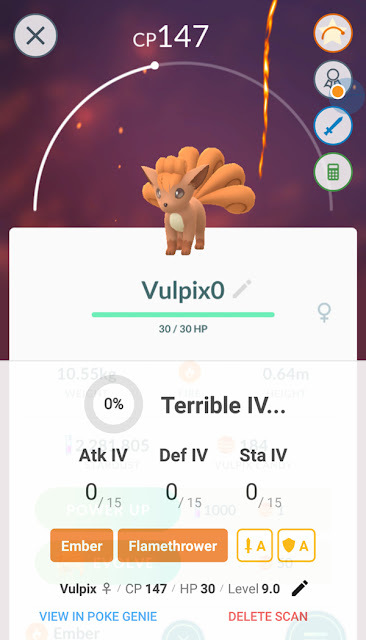 This is something really different, my one and only 0iv Vulpix cause I usually don't really check those Pokemon which is not Amaze/Wonder. 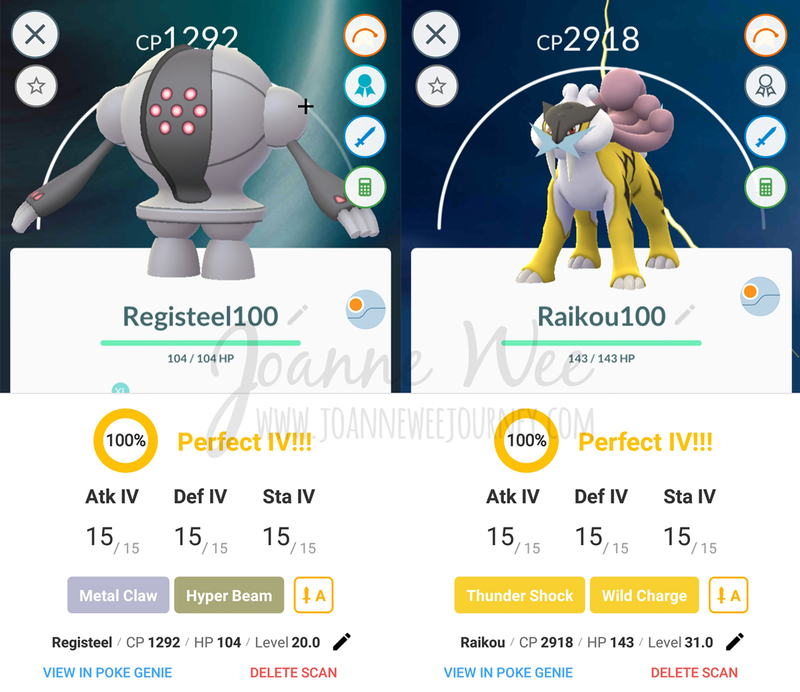 I know some of you might have more 100IV Pokemon. More or Less, doesn't really matter, don't give up, keep catching, you will definitely meet them. I know I am not the best, but don't give up! 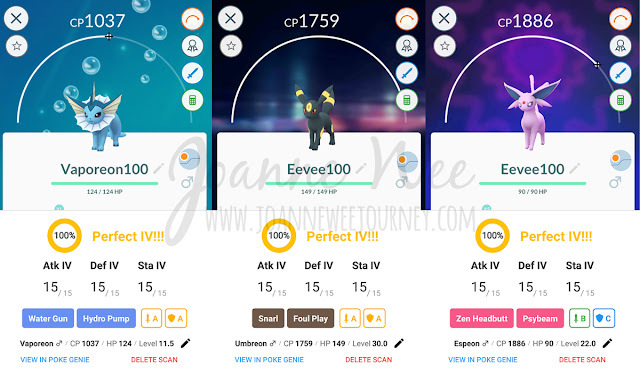 How to check your Pokemon IV? "Remember, don't play Pokemon Go while you are driving, unless you are using Pokemon Go Plus or Go-tcha.